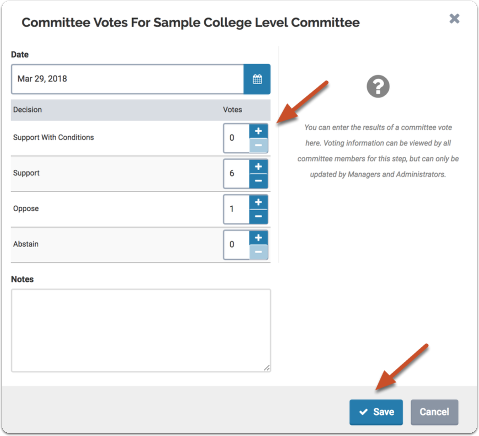 The committee voting feature is a way for Administrators and Committee Managers to record the results of a committee vote. 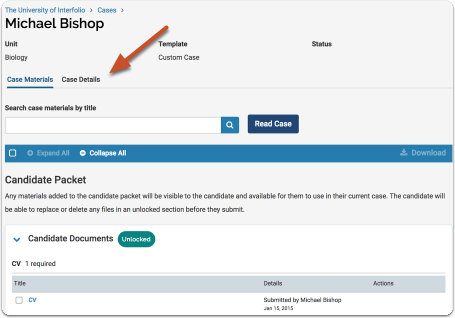 Votes are recorded from the Case page of a candidate. 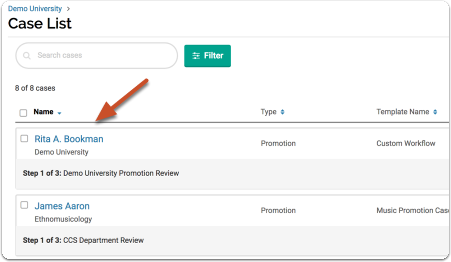 This article explains how Administrators and Committee Managers can record the results of a committee vote. Note: Committee Members can view the results of their committee's vote, but they do not cast votes in the program. Rather, they are polled and the results of that vote are entered by a Committee Manager or Administrator. Committee Members will see no option for voting on their view of a candidate's case page. Also, while more than one committee can access a case at a given case review step, committee voting is always distinct for each committee. Scroll toward the bottom of the page, and select "Add New Votes"
Click "Save" to actually record the vote. 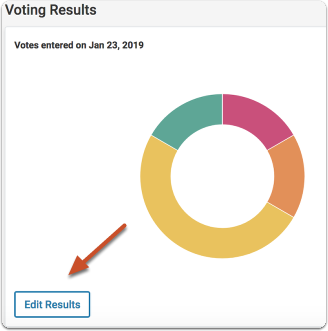 Note: Committee Members can see the results of a committee vote, but voting information can only be entered or edited by Committee Managers or Administrators in the program.